An announcement of acquisition was made recently by Delivery Hero Group (“Delivery Hero”), a leading European global online food delivery company, acquiring Carriage, a young and fast-growing Kuwaiti food delivery platform operating in the GCC. In 2015, Delivery Hero acquired Talabat, another Kuwaiti food delivery company operating throughout the GCC for around KD 50 million. It seems that acquiring Carriage would be a natural step forward to their current offering under the Talabat brand and the company hopes this acquisition will enable them to strengthen their foothold in the GCC region. For companies like Delivery Hero, this region has become increasingly attractive, as the region has demonstrated a significant potential for growth, as the food delivery market continues to evolve and mature. However, new developments suggest that the local Kuwaiti authorities are taking a closer look at the acquisition in order to determine if it may result in impeding competition in Kuwait. The Authority for the Protection of Competition (“Authority”) was established by virtue of Law no. 10 for the year 2007 (the “Competition Law”) and is connected to the Ministry of Commerce and Industry (“MOCI”). The Authority has considered that the acquisition of Carriage, which is currently operating in the State of Kuwait and other GCC countries under the Talabat brand, may be harmful to competition in the food delivery market and could potentially result in the monopolisation of these services by one operator, Delivery Hero. Accordingly, the Authority is now considering the matter and the acquisition has been ceased till a final decision is issued. Destroying equal opportunities between competitors by distinguishing some over others in the conditions of the sale or purchase agreements without due reason, or by leaking information for the benefit of one competitor and not from others. In the present case of Delivery Hero’s acquisition attempt, the Authority may be of the view that this acquisition could prevent or hinder a competitor from entering or conducting business in the food delivery market, which would run afoul at least one of the provisions of Article 4. Notwithstanding the above, Delivery Hero does have the option to apply for an exemption with respect to the Carriage acquisition. Article 5 of the Competition Law stipulates that “[t]he Authority … shall have the right to allow some of the practices, agreements, contracts and decisions which can limit competition, and can materialise defined and prominent benefits to the consumer that will exceed the impact of limiting competition”. Therefore, if Delivery Hero argues for this exemption and the Authority deems that the benefits to the consumer with respect to this acquisition outweigh any harmful effect the acquisition may have on competition, then the Authority will allow the acquisition to proceed. The review process is not simple, and can at times be daunting for companies who are eager to proceed with their investments and plan the next steps in achieving a smooth acquisition. During this process, relevant parties must provide various corporate documents and the parties’ agreement for the Authority to review. Additionally, the Authority may request that companies submit various other reports, supporting documents on their proposed merger or acquisition, documents relating to the practical and economical impact the acquisition will have, in order for the Authority to have the relevant information and be able to determine the effect such a venture will likely have on the particular sector of the market. In certain circumstances, the parties are obligated to notify the Authority of their intent for a merger or acquisition, at least 60 days prior to the acquisition date, and failure to do so may result in penalties under the Competition Law. 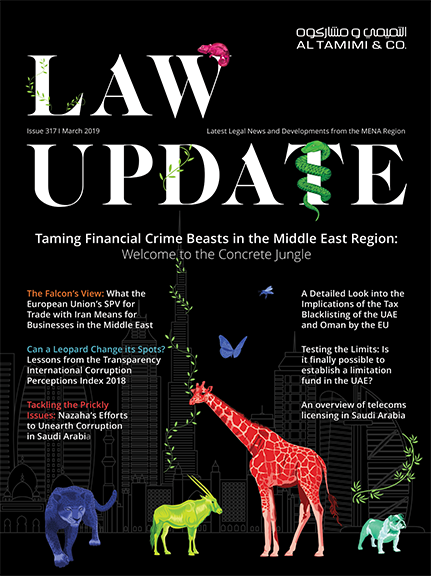 Considering this recent scrutiny by the Authority in Kuwait, it would be prudent for companies to carefully consider the various provisions of Kuwait’s Competition Law, the effect on the relevant market sectors, and to have a strategy in place for dealing with potential scrutiny by the Authority. In the case of Delivery Hero, it remains to be seen if the Authority will ultimately allow the acquisition of Carriage to proceed, but nevertheless, this outcome will prove to be an important guide for other companies considering acquisitions of similar scope in Kuwait.